On the Move — again! Dr. Sacks’s book Gratitude is still on the New York Times bestseller list, and we thank you all for your support! It is now available in the US, Canada, UK, Germany, the Netherlands, and Brazil, with more translations coming soon. 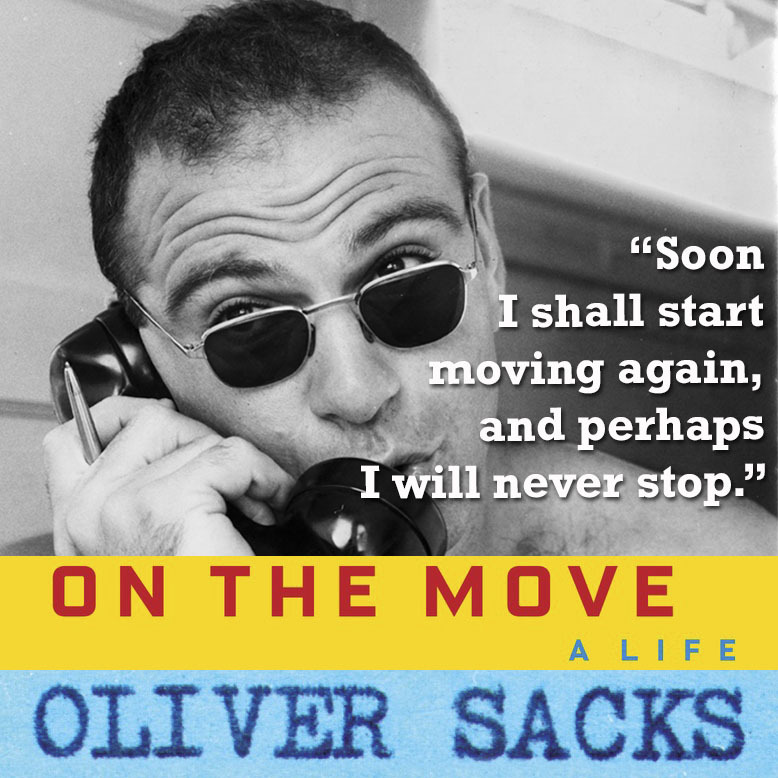 On the Move is now available in a beautiful new paperback edition from Vintage Books in the US and Canada, and from Picador in the UK. The Science Friday Book Club selected On the Move this month, and you can listen to what Maria Popova, Danielle Ofri and others have to say about the book here. Also check out Science Friday’s great website extras about the book.